Five of the 10 most valuable companies in the world are tech stocks. That’s an indication of where the growth has been, and we have every reason to believe that will remain the case for years to come. The pace of innovation only seems to be speeding up, not slowing down, and now breakout technologies like machine learning and artificial intelligence are upon us. That means any investor looking for outperformance should be hunting down the best tech stocks to buy. The United States dominates the tech industry, so most people’s minds go to American tech firms when they go to invest. But by doing that, you’ll be leaving out a number of great stocks. Today, I’ve put together a list of seven top tech stocks, making sure to include Asia, Europe and South America in my scans. And while blue-chip tech is typically a solid choice, I also made sure to examine a couple of the smaller (and potentially more explosive) stocks out there as well. This list isn’t the end-all be-all list of tech stocks that are worth looking at, but for my money, they’re seven of the best tech stocks in the world. Investors might have fears about a slowing Chinese economy, but you wouldn’t guess it by looking at Alibaba Group Holding Ltd (NYSE:BABA). This Chinese e-commerce titan is benefiting from a secular shift toward internet retail as it is. But BABA also is investing aggressively in other growth markets like cloud computing, mobile payments and even entertainment, including a recent deal with Steven Spielberg’s Amblin Partners. And while Alibaba is a $220 billion company (by market capitalization), it’s not growing like a mega-cap. Last quarter, BABA reported a sizzling 55% spike in revenues to $5.14 billion. It’s also plenty profitable, bringing in $1.14 billion in earnings for the period. Alibaba isn’t without its issues. The SEC is probing BABA’s accounting practices, and Donald Trump’s presidential election victory threatens the company, as Trump has promised to get tougher on Chinese trade practices. Still, Alibaba is in prime position to reap the lion’s share of China’s growth. According to a report from Forrester, Chinese e-commerce is forecast to grow at a compound annual rate of 19.9% until 2019, reaching $1 trillion. It’s hard to believe that 12 years ago Facebook Inc (NASDAQ:FB) was a fledgling online service run out of Mark Zuckerberg’s dorm room. But now it is one of the world’s most valuable companies, with a market cap of $330 billion. Success was certainly not guaranteed — or easy. Zuckerberg had to fight off tough rivals, like MySpace and Friendster, and also had to deal with complex issues like privacy. Plus, he had to make wrenching transitions, such as his aggressive (and successful) move to mobile. Zuck also made savvy acquisitions for companies like Instagram and WhatsApp — deals that ironically drew a thick dose of criticism. As a result, FB has the most lucrative piece of digital real estate. Monthly active users (MAUs) have reached a staggering 1.79 billion, and mobile daily active users (DAUs) reached 1.09 billion last quarter, up 22% on a year-over year basis. And growth deceleration still isn’t a worry somehow. Zuckerberg is doubling down on transitioning his company towards being “video first.” Considering the traditional TV market in the U.S. alone is $70 billion, it could be another game-changer. SAP SE (ADR) (NYSE:SAP) is the pioneer of the enterprise resource planning (ERP) software industry, with roots going back to the 1970s — you know, when it was mostly mainframes and punch cards! 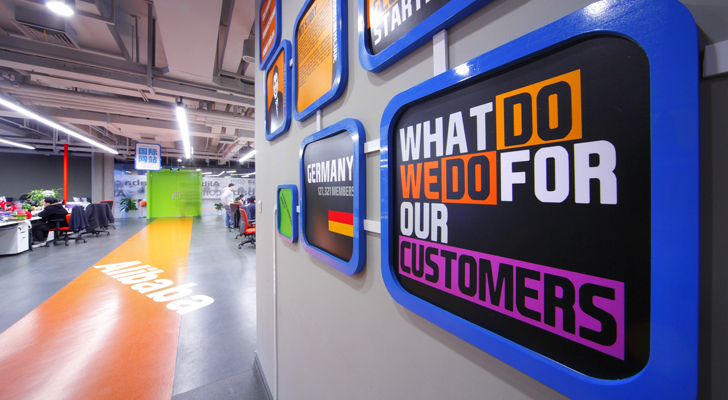 The company and its German founders quickly built a dominant foothold in the European market. ERP is mission-critical for companies as it manages the financials, payroll, HR, inventory and supply chains. And once you’re in a system, you really don’t want to change, so installations are extremely sticky. As a result, SAP has many customers have been with the company for decades. All told, it boasts more than 300,000 customers across 190 countries. Going forward, SAP looks positioned for a pick-up in growth. A key part of this has been the substantial investments in the cloud-computing business, including acquisitions for companies such as SuccessFactors, Concur and Ariba. But this strategy isn’t just about traditional tasks of cost management and compliance; SAP also is investing heavily in analytics and machine learning to help businesses make better decisions. The technology even has unexpected uses. For example, the SAP platform has helped doctors with genome sequencing to fight cancer. The core business should continue to throw off hefty cash flows, allowing for continued R&D and M&A. For the past nine months, operating cash flows came to 3.63 billion euros, up about 12% on a year-over-year basis. Mercadolibre Inc (NASDAQ:MELI) is an e-commerce pioneer of the South American market that got its start back during the dot-com era. Since then, the company has gained lucrative strongholds in 13 countries, including Argentina, Brazil, Chile, Mexico and Panama. Diversification has been key because of the political risks in the region. For the most part, MELI has the necessary core types of platforms, including a thriving marketplace, a payments service, advertising/promotion systems and logistics support. All of these have meant strong barriers to entry. And Euromonitor International forecasts that e-commerce spending in Latin America will growth at a 19% compound annual growth rate (CAGR) through 2019, reaching $79 billion. Microsoft Corporation (NASDAQ:MSFT) was in need of bold leadership when Satya Nadella took the helm a couple years ago. Mission accomplished. Since becoming CEO in February 2014, Microsoft shares have gained 50%. Part of his strategy was to get rid of needless distractions, such as with the Nokia Corp (ADR) (NYSE:NOK) acquisition. Then Nadella wasted little time in doubling down on cloud computing. There was skepticism, as many critics wondered whether the cloud industry was even big enough for a company like Microsoft. But of course it was (and is). Cloud computing is a megatrend that is — believe it or not — in its early phases. According to research from Morgan Stanley, the global spending in this category is expected to jump from $70 billion last year to $141 billion by 2019. There’s enough meat in there to move the needle for MSFT. Microsoft also has other critical advantages, such as a long history of providing mission-critical technologies to businesses across the world. It also boasts franchise assets such as Office and Windows, which provides cloud services to over 1 billion PCs and devices. Lastly, the $26.2 billion acquisition of LinkedIn Corp (NYSE:LNKD) should provide a valuable platform of 467 million users. Roughly 85% of all global transactions are still done with old-fashioned cash. But the ubiquity of smartphones as well as the power of cloud computing is powering the shift toward digital payments. 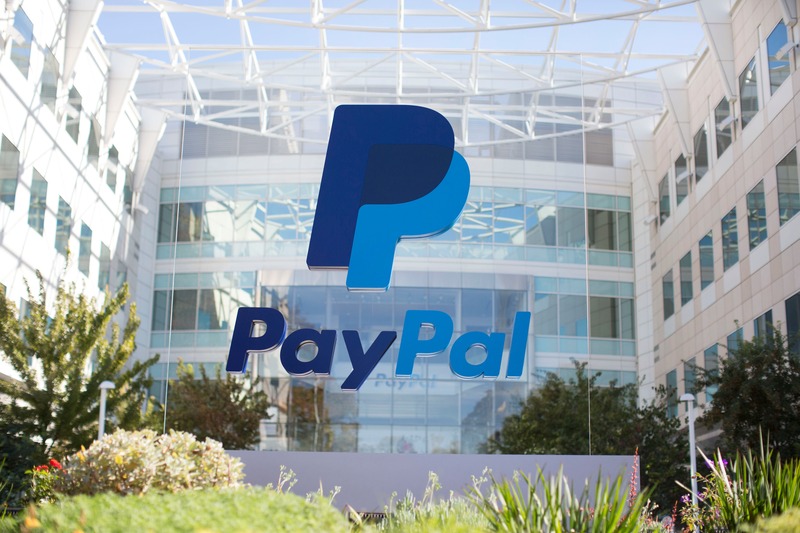 PayPal Holdings Inc (NASDAQ:PYPL) is one of the biggest beneficiaries. 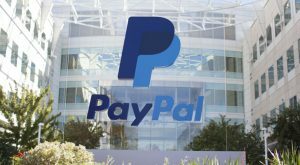 PYPL has some important advantages, such as its status of being an industry pioneer who has done the tremendous heavy lifting of building the complicated infrastructure, which includes guarding against fraud. Xoom: The service allows for payments to family and friends across the globe. Venmo: This is a mobile payments app that has social features, such as allowing others to see your transactions. It has become a must-have for millennials. Braintree: This is a system that allows companies to implement their own online payments. Paydiant: This is a secure mobile wallet for brands. Through all this, PYPL has amassed a substantial active customer base of about 192 million. Transaction volumes continue to improve nicely, including a 13% uptick in the latest quarter. And yet again, we have an enormous market opportunity. According to Statista, the global market for mobile payments is expected to jump from $450 billion in 2015 to over $1 trillion by 2019. Intuit Inc. (NASDAQ:INTU) is a dominant operator in two core markets — taxes and small-business accounting. And those are two things that customers are willing to pay for on a recurring basis. For QuickBooks,revenues came to $2.3 billion and the operating income was about $874 million during the past 12 months. As for the TurboTax franchise, the revenues reached $2 billion and operating income was a mouth-watering $1.3 billion. Yet INTU could be poised for an acceleration in growth during the upcoming years. See, Intuit has a treasure trove of data. For example, in the case of QuickBooks, the company has entered a strategic agreement with American Express Company (NYSE:AXP) to leverage accounting data to streamline the process for obtaining financing. Yes, this could represent a whole new revenue stream for INTU. The same could be said about TurboTax; after all, a person’s tax return is critical for getting loans. Intuit also has used its platform to move into the market for the self-employed. Because of the rapid growth in on-demand services like Uber, Lyft and Airbnb, self-employed individuals represent 34% of the U.S. population and are expected to hit 43% by 2020. That figure was a mere 6% in 1989. So a couple years ago, Intuit launched QuickBooks Self-Employed, which allows for automation of deductions (such as mileage tracking) and even better invoicing. Over the past year, its paid user base has jumped from 25,000 to 85,000, and there’s still plenty of market opportunity for Intuit to harvest. Tom Taulli runs the InvestorPlace blog IPO Playbook and also has his own tax preparation firm. Follow him on Twitter at @ttaulli. As of this writing, he did not hold a position in any of the aforementioned securities. Article printed from InvestorPlace Media, https://investorplace.com/2016/11/7-best-tech-stocks-world/.